Photo courtesy of Rebecca Selah. Editor’s Note: This is a guest post by Joanna Moore. As multipotentialites, we’re always starting projects and exploring new topics. But every now and then something clicks and we want to take an interest further. We get an idea for a longer-term project like a business or a blog. You know the drill. You can’t stop thinking about your idea, hurry to Google, do some research, brainstorm names. Maybe you ask for feedback in the Puttytribe. It’s all very exciting. Someone asks you about an aspect of your new area of interest that you hadn’t considered. Or you stumble upon a blog on the same topic and wonder how you’re going to compete with all the specialists who’ve spent years studying and practicing the topic you’ve only just discovered. You’re not an expert. In fact, you’re just a beginner. 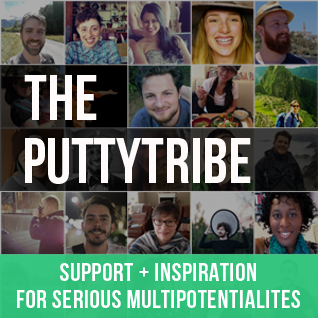 Since joining the Puttytribe, I’ve launched two online ventures: a graphic design and illustration service and a blog about confidence. My background is in languages and I have no qualifications or experience in anything related to either design or psychology. I found both launches challenging. My lack of experience made me feel like a fraud. I worried that everyone would laugh at my designs, criticize me behind my back, and wonder who on earth I thought I was. But clients have paid me to design things for them and I’ve been inundated with emails thanking me for my blog posts. Both launches have taught me that I know more than I think I do and that I, as a non-expert, can compete with experts. In this article, I’d like to teach you how to do the same. 1) Understand which kind of expert you are. When we think about being an expert, we usually think about being a specialist – someone with formal qualifications and experience in a particular area. But there are many types of expert. The cross trainer takes expertise from one field and applies it to another. My mum recently retrained as a teacher but, rather than feeling like a complete beginner, she drew on her background in management training and her experience as a parent to fast-track her way to a job. The survivor has been through something and learned from that experience. I’m using my history of shyness to help other shy girls. Once you see that there’s more than one way to be an expert, you start to see that you too can bring something to the conversation. 2) Be open about your learner status. You don’t have to pretend to know everything about your topic. In fact, if you do, you risk embarrassing yourself and misleading your audience. Instead, use your beginner status to your advantage. On my blog, I’m very open about the fact that I’m just a shy girl who’s studying confidence and sharing what she learns as she goes along. My last email to my subscribers was called “I’m Scared”. I’ve never had so many replies to a mailing before. My inbox has been flooded with girls opening up to me purely because I’ve been honest with them. People are drawn to people they can relate to, so make the most of being so approachable and declare yourself a leading learner. 3) Draw on your existing knowledge. When I launched my blog, I believed the only thing I could offer shy girls was the knowledge that they weren’t the only ones who feel the way they do. And yet I’ve found that I have been able to respond to their emails with tips and advice. I’ve been able to apply knowledge that I’ve collected from reading about business, online marketing, copywriting, personal development, and novel writing to these girls’ struggles. As a multipotentialite, you have an odd mix of information in that head of yours but a surprising amount of it will be relevant to your new interest. It’s just a case of looking for the overlaps at the intersections. Everyone’s heard of transferable skills but look out for transferable knowledge and concepts too. This is the fun bit! In The Four Hour Work Week, Tim Ferris points out that if you just read three key books on a topic, you’ll know more about that topic than most people. When I first read that, my mind was blown. There I was, worrying that I don’t have a PhD in psychology or counselling when all I needed to do was read three more books on confidence than the average shy girl. Before I started my blog, I was worried I’d run out of things to write about but I’ve ended up publishing twice as often as I’d planned to because I’ve got blog post ideas coming out of my ears. How did that happen? When they subscribe, I ask my readers to introduce themselves and to tell me how their shyness is affecting their lives. Each reply usually sparks an idea for a blog post. 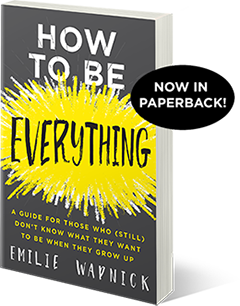 When I met Emilie last summer, I noticed that she was always asking questions, considering what it means to be a multipotentialite, and jotting things down in her notebook. I now do the same with shyness. I now keep an eye out for blogworthy tips, thoughts, and behaviors and I’m finding that I’m learning at a ridiculous speed. Just like when you’re buying a car and you suddenly see the model you want everywhere, when you keep an eye out for ideas on your area of interest in everyday life, suddenly everthing’s relevant. When I started doing freelance design, I knew I wasn’t the best designer around and I didn’t know why anyone would choose to hire me. I now know that my customers choose me because of my casual, playful style, and often because they know and like me. It’s worth bearing in mind that trust and familiarity are important in business and that people often choose to work with people they know, even if they’re not the best at what they do, purely because they know them. For more on this, read Mars Dorian’s latest post, Freelancers beware: You don’t need to be the best in the world. Because I know that most of my customers choose to work with me because I’m so casual and playful, on my website, I talk about how I regularly attack my little sister with invisible weapons and sometimes get pen on my skin. I draw attention to my personality because that’s what previous clients have liked about me. If you can’t claim to be the best personal trainer in the world, instead of competing with all the personal trainers who have more experience than you, find a different way to be the best. Draw on your personality, your style, and your other interests to create an experience that no one else can compete with. Could you be the best personal trainer for pregnant mums of twins? Or the most sarcastic personal trainer? Or the personal trainer who fills her workouts with references to The Simpsons? To find a unique angle, use Emilie’s advice for combining your interests. Launching any new project can be scary but remind yourself that you don’t have to be an expert and that you know more than you think you do. Good luck! Have you ever launched a project and felt ashamed of your lack of expertise? 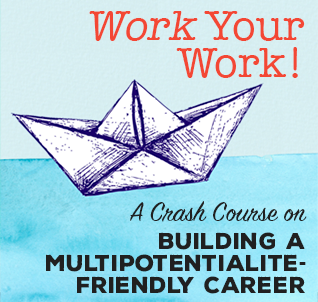 What tips do you have for multipotentialites starting something new? Battling her British social awkwardness, Joanna L K Moore (Jo) runs Twisted Sleeve, where she helps shy girls get the confidence they need to do whatever they dream of doing. 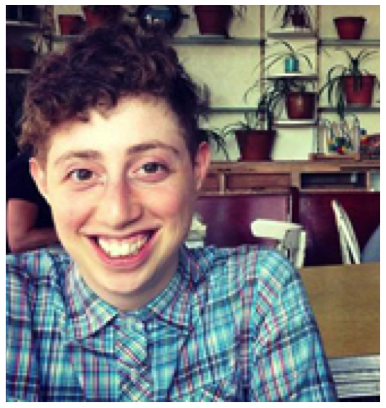 A multipotentialite through and through, Jo’s also a content coordinator, a support worker, an illustrator at hey, there blogger, and a writer currently working on the second draft of a young adult novel. You can find out more about Jo here. Thanks Jo! I’ve raised the sails on that same ship a number of times. Presently, I’ve started a blog for clergy/faith leaders who’d love to leave ministry, or have left ministry, for other careers. This is something I did myself (“Survivor” status) recently and I’ve gained credentials and some experience as an Employment Counsellor but do not feel like an “expert” at this point. Finding that balance between dispensing the good advice I do possess and disclosing that I’m just a pilgrim on the journey as well is tricky to say the least! At the end of the day, I choose to chart my course using authenticity as my compass, but that’s easier said than done sometimes. That sounds to me like exactly the sort of area where survivor expertise would be really useful. It’s quite a rare experience and talking to someone who’s been had that experience would be really helpful. The Employment Counselor add on sounds clever too! I think the most confidence any of us can get with things like this is from hearing how we’ve helped other people and realising that we are actually making a difference. Agreed. My hope is to podcast interviews with other successfully transitioned former clergy. So my expertise, in part, is curating other people’s experience and inspiring others. Thanks again for a great post! Ha – I have dreams of doing the same and interviewing confident, successful women about their own confidence issues to learn from them! Great minds! Best wishes, sounds great! I’m an introvert as well and am currently reading Susan Cain’s book “Quiet: The Power of Introverts in a World That Can’t Stop Talking.” Love it. I’m reading that at the moment too! I’m the kind of person that has felt a calling more than anything else (i’m surprised you left this one out)so I can relate to the linked blog article. As a result, i’ve tried to start blogs/businessess but always gave up – one of the reasons being that I always felt I had to be an ‘expert’. I’m still going through the trenches myself so to speak so to share what i’m learning based on education (reading, videos, courses etc) and my own experiences makes it so much easier and takes the pressure off. I guess I already knew this to a certain degree but couldn’t get the idea that I needed to be an expert out of my head. When I think about it though, sharing who I am and what i’m going through makes it more fun and it’ll draw the right kind of people to me. I’ll be reading this post a few more times to make sure I don’t forget. I agree with After the Pulpit; great post! Really inspiring post. You’ve helped me a lot already on the Puttytribe with your feedback and insights, and this article has given me another push to get on and create my first website aimed at connecting and sharing resources with graduates struggling with life after university. Hearing how your readers are so engaged with you is really appealing. I hope to connect with my audience like that. Making a difference, connecting authentically, that’s what it’s all about! p.s I meant to ask – you talk about how you’ve got clients as a result of them liking you and choosing you because of your casual, playful style. I’m aiming to do freelancing work as well, and I just wondered how you came to connect with the people that became your clients? Did they come across you via your website and contact you, or did you initiate by reaching out to them – like via email, twitter, and so on? I can’t wait to see your site and to see how your ideas develop! The Puttytribe :-) I posted in the Puttytribe asking for guinea pigs – people who wanted stuff designing for free in exchange for testimonials. Then other customers ended up being friends from uni, readers of my blog, and people who heard about me through my boss (Joel Runyon). You just kind of get to know people in a space and become friends. That said, the freelance thing is more of a hobby now, so I just design things as and when people come across my site. I don’t actively look for work. I’m now a seasoned designer and illustrator and I remember going through similar things. Now I’m experiencing them again in the role of a teacher. While I have plenty of teaching experience through tutorials and live workshops, I still feel like a bit of an imposter because I have no credentials or paying clients for such services or products. In my case both of the strategies you mentioned (transferring skills and experience) can work. I never thought of the first one though! The different types of expert one was a revelation to me! And since I wrote this post some of my readers have told me they find my site much easier to understand than articles written by people with more knowledge on better established sites because they can relate to me and because I’ve made it so clear that I struggle with the exact same things as me. So it really can be a positive! Thank you for this article! I’ve been struggling with this lately, rebelling against the “expert” concept as a prerequisite to launching my website. 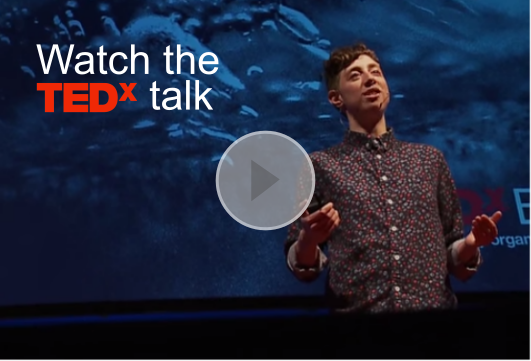 It feels inauthentic to me to present myself as such, since so much seems to be a learning process(and as a perfectionist, if I wait until I’m an expert, I may never launch!). So thanks for your tips on the cross-training and survivor types; good to remember. Cross-training is a great way to put it and one that people will probably instinctively “get” instead of my trying to describe (with too many words) the benefits of being someone who can see multiple solutions rather than just one. I’ve also realised since I wrote this post that just talking to people lets you become an expert. It’s what Emilie does with multipotentiality and it’s what I’m doing with shyness. Every girl I speak to and every friend who hears about my site and tells me their experience adds to this collection of knowledge I’m gaining. I’m sure a similar thing will happen to you with your site – once people know you’re interested in something, they’ll talk to you about it. Thanks Jo, great article! How the heck did I miss reading this blog entry. By the way, love your profile pic. From a shy girl to a shy girl your profile pic made me smile big! Incredible synchronicity! I really needed to read this today. Some days it is difficult to muster the confidence and courage to continue working on my blog when there are so many others out there that are credentialed experts. Your post is helping me reframe my expertise. Thank you.